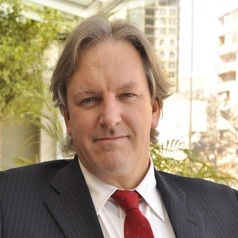 Richard Rousseau is Associate Professor at the American University of Ras Al Khaimah, United Arab Emirates. His research and teaching interests include Russian politics, Eurasian geopolitics, International security, international political economy and globalization. Dr. Rousseau has spent most of his career teaching and researching in different universities and institutes in Canada, France, the South Caucasus, Central Asia and the Middle East. Dr. Rousseau’s over 800 books, book chapters, academic journal and scholarly articles, conference papers and newspaper analysis on various world politics topics have been published in numerous publications, including The Jamestown Foundation (Washington, D.C.), Global Brief, World Affairs in the 21st Century (Canada), Foreign Policy In Focus (Washington, D.C.), Open Democracy (UK), Harvard International Review, Diplomatic Courier (Washington, C.D. ), Foreign Policy Journal (U.S.), Europe’s World (Brussels), Political Reflection Magazine (London), Center for Security Studies (CSS, Zurich), Eurasia Review, Global Asia (South Korea), The Washington Review of Turkish and Eurasian Affairs, Journal of Turkish Weekly (Ankara), The Georgian Times (Tbilisi), among others.